Thank you so much for sharing your time, your energy, and your practice with me. I hope you feel your value and even just a sprinkle of the love you are worthy of. I hope you feel proud, present, and curious. Each month we will share a free YWA calendar and you are invited to join me and the global community in regular practice. Regular practice is so much more beneficial than hitting a sweaty power yoga class every once in a while, in my opinion. Though I do like a good sweat too! Strive and maintain balance so that you can feel your best, be happy, and find what feels good. Show up regularly. Move with ease. Rock your truth all year long. If you fall off the horse, I swear that the process of actually getting back on and catching a wave is even better than any goal of perfection. The monthly calendar and this community will be there to support you on your ride. You can find the calendars each month via the calendar tab on my website. I also am sure to send them out via my Sunday letter at the end of each month. Download your FEB Calendar and get all the details! Many of you have left a comment or wrote in to say thank you (no, thank you!) and to ask about ways in which you could support the channel. First, I am honored. Thank you. Because mi casa, es su casa. This channel and this practice is not mine, it is OURS. – Your small contribution for the subscription supports keeping the free yoga going for those who cannot afford yoga classes. – The entire monthly membership costs less than the price of one yoga class. – The community is awesome. – The content is creative, diverse, and ad free. – Members also get first dibs on a lot of things, such as merchandise, live events, and our annual Find What Feels Good retreat. Plus coupon codes for merchandise and the annual FWFG retreat too. – If you are curious but don’t want to commit you can do the free 7- day trial to check it out with the option to cancel your membership at any time. Thank you so much for taking the time to read this and more so for sharing your story with me. What a way to begin a year. But don’t forget, you can begin anytime. The hardest part is showing up. And for that, I have your back. Thank you for having mine. So Incredibly true about falling off the horse and getting back on. Learned so much from that this month! Thank you so much! I was wondering if there’s an address I could send you a letter to? There is an address listed on the Contact tab. I just started your daily yoga lessons. Today was Day 4. Im truly enjoying them. Thank you for doing these, im 61 and trying to make this my year of health. It makes it easier to do at home. You are a TRUE gift Adriene. The yoga and message you teach are so precious. They are a game changer! Longue longue vie à Yoga with Adriene! Thank you so much Adriene for this amazing yoga journey. It was amazing and made the start of 2018 amazing ! I’m addicted to yoga now and look forward to making it a daily practice ! Much love ! You are a true inspiration, a blessing and a spark of love and joy! You make staying in the practice and on the mat easy! I had wanted to start Yoga for three years – and with you I finally did! Sooo…now what!?! I finished the True 30 day. Just not sure where to go now. I am a healthy senior who started yoga in September on you tube and found your style the most approachable for me. I feel like I have benefited greatly. My shoulders are much less tight. My legs are stronger. I even have a bit more balance than before (I’ve always had some difficulty with balance.) But where now? I cannot thank you enough, Adriene, for reintroducing me to a daily yoga practice. I think you are a great teacher and love how you stress finding what “feels good”. I practiced Kundalini yoga for many years but injured myself by pushing too hard. I am hooked again and I feel so much better after 3 weeks of practicing with you. I was weak from surgery and chemo, and doing a daily practice with you has made a world of difference. Thank you so much for doing this! Wow that was totally amazing Adriene!! I had a couple of work commitments so just finished the 30 days Saturday – and what a sense of achievement. Was a bit emotional at the end. But already launched into the fab Feb calendar with the Root Chakra yesterday – the words are with me now and have really had a positive effect. Let’s all continue and just imagine how fab we’ll feel by the end of February!! Thanks Adriene you are awesome! Finally thanking you for these wonderful yoga lessons. I’ve been doing them pretty much every day since last November and they have changed my life. It’s amazing to have access to such a great teacher, and to be able to practise in my own time (from another time zone). 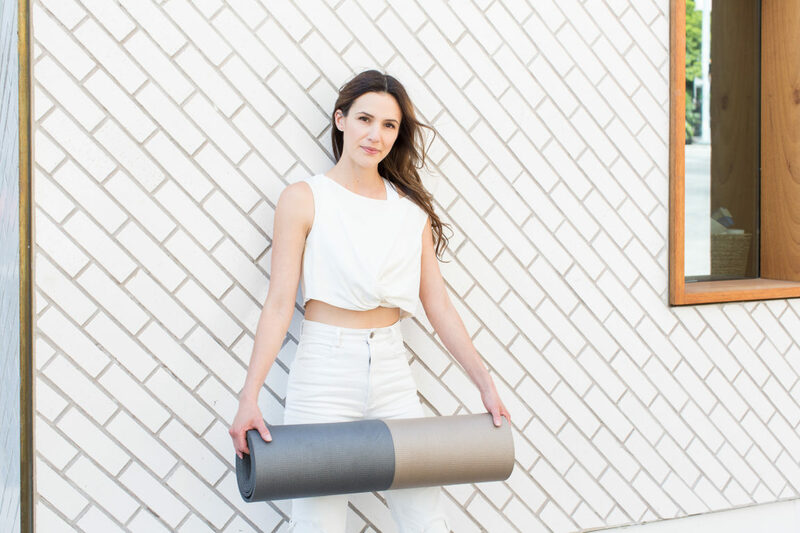 I’ve taken many yoga classes, but you are the most inspiring, generous and supportive teacher I’ve found – a remarkable feat since we’ve never even met! The 30-day series are really special. I love the sense that there will be something new every day, the element of surprise – it builds trust and creates a wonderful rhythm for the days and weeks. One question: do you tend to avoid inversions on the videos for reasons of safety? Or are there classes with inversions that I haven’t yet come across, or will you be doing those in the future? Thank you again. I’m so grateful for this resource and for your amazing energy and kindness. I’m addicted to your 30 days yoga videos! Is there a downloadable version of TRUE to buy? I work in remote places where internet is not always available, therefore your offline videos are my savior! Looking forward to the new videos of 2018 – the first one was great! Hi Flavia, we are so happy you enjoyed TRUE! We do have a downloadable version. You can get it here. Is there a way to access some of Adrienes emails for each Day of True. Is there a spot they could be hiding? I love getting pumped up with Easy A’s Awesome Daily True Emails before I begin. Sarah, I also receive your emails of posts to the Kula, but the True Circle was deleted. Is there a way to view your posts (Adrienes Emails) within the #FWFG community. Good morning. This was the first time I have ever done a yoga challenge. Since I started late January I just finished yesterday. I was especially drawn to you Adrienne because you remind me so much of my oldest daughter who is a yoga instructor, but who lives far away from me now, so spending time with you every morning kind of felt like I was spending time with Rachel too who shares many of your personality quirks. ☺ Thank you for sharing your gifts of playfulness, kindness and love during these 30 days. I usually prefer walking or hiking alone outside so this was a perfect practice to add to my life. I’ll say I’m all in now, looking forward to repeating some of the videos and adding new ones. I’m back on the TRUE journey as it was such a fabulous 30 day programme. Thank you Adriene, from the bottom of my aching, but getting much better, back!!! I’ve just finished the TRUE programme & thanks so much Adriene, you have got me doing an at home practise & getting up at 5:38am to do so! I see you’re going to Europe shortly, please come to Auckland, New Zealand sometime. All your videos are shot in the daytime so I assume it’s suggested to do it in the morning. Is it okay to practice these sessions in the evenings? Thank you so much Adriene this practice has changed the way I go about my life off the mat which I am eternally grateful for. Just shared the link with my mum and the can’t wait to try it! You’re awesome. Thanks again!